Engine serviced professionally in August 2013 and May 2017, FSH Next service is due in May 2020. This is a lovely example of an Asis Open 7.2m (Cat B) with a great specification and professional FSH on the powerful 250hp HO that will deliver 50 knots and will cruise comfortably at 28/30 knots. The owner has had her for 2 years and is the second owner, he has now bought a larger boat. She comes on a Braked Indespension Super Trailer with flushing kit and she has a great spec with 2 x Lowrance plotters and a new Lowrance DSC VHF with built in AIS receiver. The present owner had the two shock mitigation Scotseats fitted 2 years ago costing £5000 and also had a new high quality all over cover made costing £1000. All historic paperwork including Vat paid original invoice, service records etc are present. 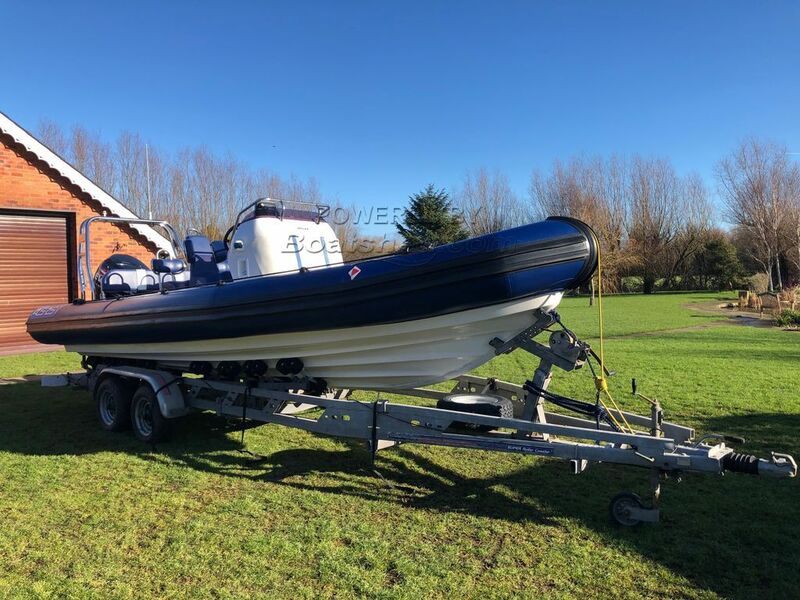 If you like your Ribs, then this really is a lovely outfit that has been very well maintained and the engine serviced by approved Evinrude dealers with all service printouts showing engine hours etc and will give you a decent range at cruising speed. This Asis 7.2 Rib has been personally photographed and viewed by Paul of Boatshed Lancashire. Click here for contact details.